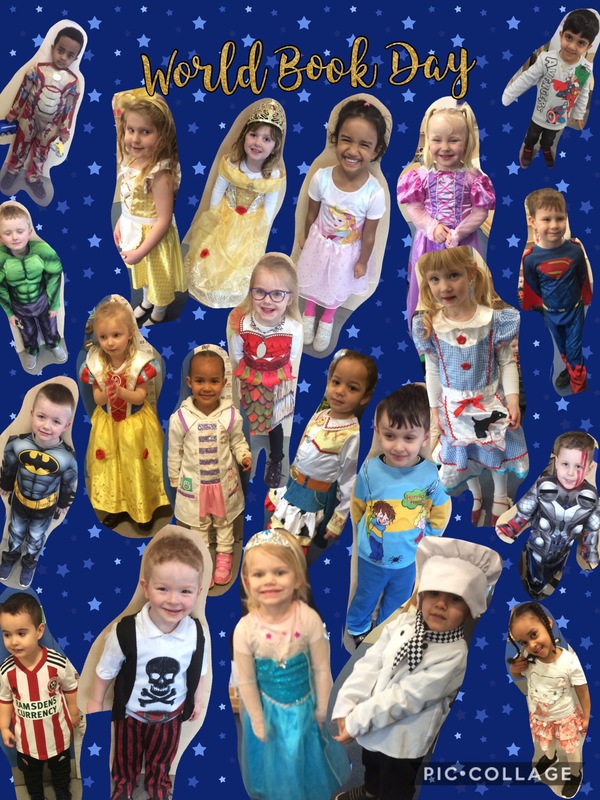 On Friday we celebrated World Book Day! We had a busy day making puppets and characters from our favourite stories. We also shared some of our favourite books and some children brought in their favourite books from home to share with their friends. 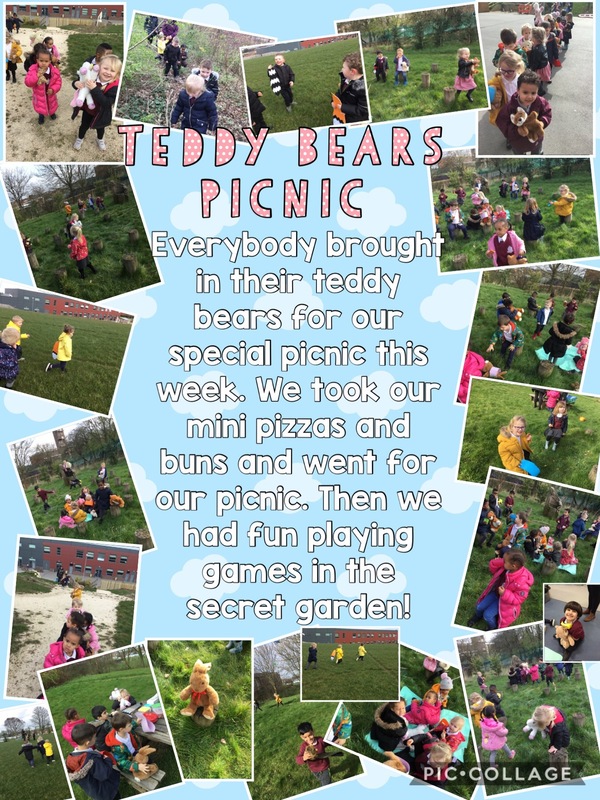 The children had lots of great ideas and learnt lots while playing their games. We learnt to take turns and negotiate with our friends. We learnt to follow instructions and understand the rules of the games. We also had to explain the rules of the games to our friends. We did lots of counting in our dice games and matched colours in Twister. Games are a great way to teach children lots of different skills from ‘Simon Says’ to board games children can learn lots of new things in a fun way. Which games do you like to play at home? This week we performed our ‘Very Nursery Nativity’. We were so excited to do our nativity a little bit differently this year and the children were all amazing! First we read The Christmas Story then the children told their own versions and we put them all together to make our script. We love making up our own stories and we tell stories everyday. Click here to see how we make up and act out our own stories or here to see how we change stories. If you want to know more have a look at the Helicopter Stories Blog. Then we got dressed up and started to film the different scenes. We love making movies in nursery (click here to see some of last year’s movies) so this time we decided to do it a little differently and tried out a green screen. We filmed in front of a big piece of green material and used an app on the Ipad to change the background. The children were very keen to make our angel fly so we tested out different ideas from using a slide to steps and Mr Sieczkarek even came to lend us a hand. The children could play whatever character they wanted and be in the film as much or as little as they wanted to be. Then the children wanted to film outdoors so we used the grassy bank around school and the shelter in our outdoor area to film some more. After a week of filming Miss Hulme put our video together and we thought of our favourite Christmas songs. We decided to sing Jingle Bells and When Santa got Stuck up the Chimney first then we sang Twinkle Twinkle Little Star and Alice the Camel live as we watched our movie and finished with We Wish you a Merry Christmas. After our performance our parents stayed for a hot chocolate and a mince pie. Thank you to everyone who came, we hope you enjoyed it as much as we did! We loved reading all of your comments! We got to the cave and who do you think was hiding inside? Click here to watch Michael Rosen telling the story or click here to sing the bear hunt song. In the week before the holidays we had a big surprise in nursery when a giant egg arrived! Watch our movie to see what we got up to! Why not make your own puppets at home? 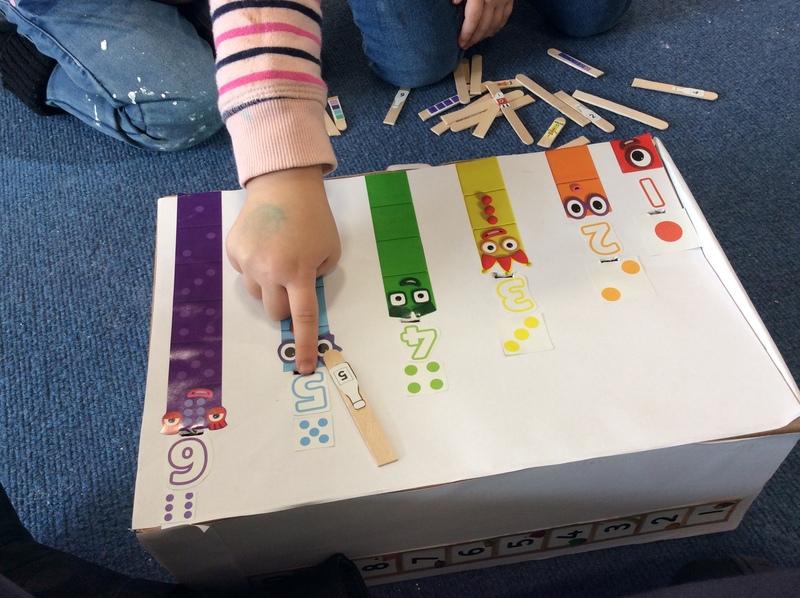 You could make sock puppets, finger puppets or use straws/lolly pop sticks to create your own. We would love to see them! 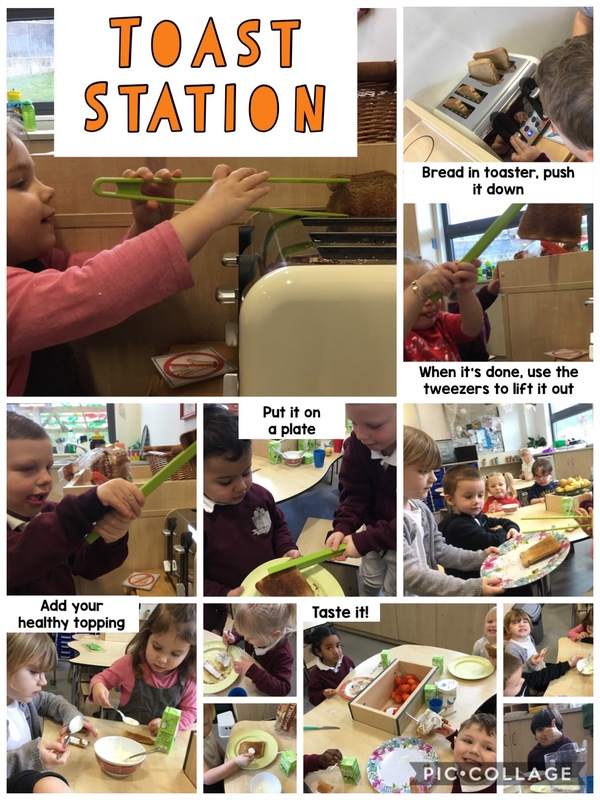 In nursery we love to make a movie! Did you see our movie of The Three Little Pigs? 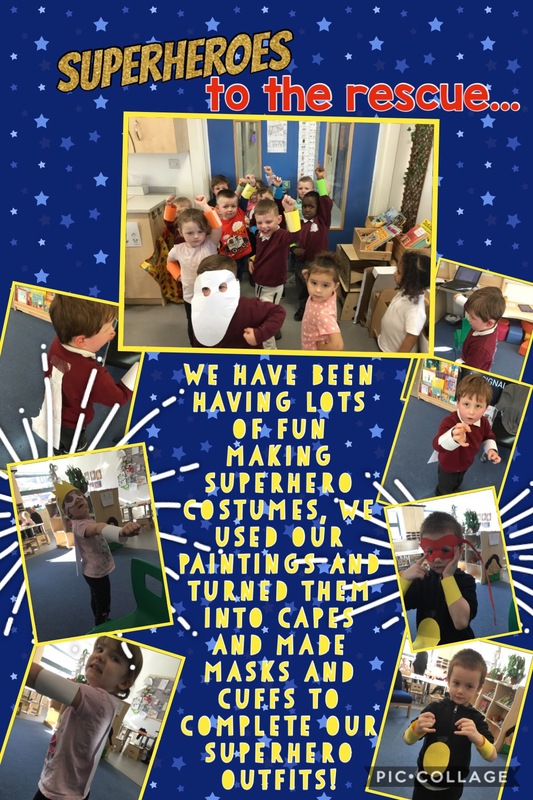 We love story telling in nursery and have had a lot of fun making our own movies. We learnt to share our ideas, think of stories together, think about characters and use the ipads to record. Why not try making your own mini movie at home? Once upon a time the mamma wolf said “build your own houses!” The wolves said “Yes mamma” and then one made a house out of straw and other one made house of sticks and a other one made a house of bricks. And then the big, giant pig came and the big, giant pig said “LET ME IN!” and the wolves said, “I won’t let you in by the hairs on my uncle’s chin.” Then the big giant pig tried to kick the door down but it was stinging his trotter, so he gave it a big, giant kick and it fell down. So the wolf went to the house of sticks. The big naughty pig came. Then he took a stick and it all fell down. Then the two wolves ran to brother’s house made of bricks. Then the pig came and tried to knock it down with his hammer but he couldn’t ’cause it was a baby hammer. Then he got some ladders, climbed up the chimney and the wolves made a fire and the pig fell in the fire and they tipped him into the toilet and flushed him all the way down. The End. Once upon a time there was a little piggy, he was walking through the forest with the icky sticky mud and he was jumping in the muddy puddles. Then the wolf came, he said “Knock, knock, can I come in?” “No by the hairs on my chinny, chinny chin!” “Then I’ll puff, then I will puff then I will blow your house down.” That was the end of the second little piggy. Then the other little piggy was walking on the street and he heard a knock like this (Millie knocked) and this time it was a vampire. He eat the pig and they turned into piggy vampires! Once upon a time Mummy Pig said “Build your own house” then the Big, Bad Wolf was watching them and then the wolf came to the pig’s house and said, “Let me in!” Pig said “Not with my little chin, chin.” Wolf said, “I’ll puff and I’ll puff and I’ll blow your house down.” And then he ate all the pigs up. The End. In a muddy puddle there’s a piggy jumping in muddy puddles. Then the big bad wolf comed to jump in the big muddy puddle. Then he trying to eat all the piggies. He goes in the shower so he not muddy then he eats piggies for his dinner. He chops them up and has them with chippies. Then he’s got a big belly. We have been learning all about stories. We have been learning about characters, events and settings. We are starting to understanding that stories have a beginning, middle and end. We are being imaginative and changing parts of the story. We are starting to describe using adjectives and making sure our stories make sense. Make sure children have lots of opportunities to tell their own stories at home. This could be when they are playing with their toys or dressing up. When you share books together encourage children to make up their own words for the story.